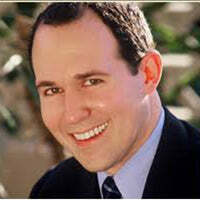 Raymond Arroyo (born September 25, 1970) is a New York Times bestselling author, journalist and a producer. He is the news director and lead anchor of EWTN News, the news division of the Eternal Word Television Network. He is creator and host of the news magazine The World Over Live seen in more than 350 million households around the globe and heard on 500 AM/FM affiliates throughout the US. Arroyo is also author of the best-selling Will Wilder series (Random House Crown) for young readers.